Cranfield University Blogs | Writing a paper? Follow these six steps to make your research funder happy! Choosing where to publish: ​Check that your preferred journal’s open access options are compliant with​ requirements. Use the SHERPA tools (http://sherpa.ac.uk/fact for funder compliance and http://sherpa.ac.uk/ref​ for REF compliance) or email the Library to ask. Linking to your data: Any underlying research data should be published on a data repository such as CORD. Your paper’s acknowledgements section should include a data access statement linking to it, or if the data can’t be shared, explaining why. Compliance is monitored for RCUK-funded publications. Article compliance: Forward the publisher acceptance email and post-review manuscript to accepted@cranfield.ac.uk as soon as possible. Library staff will check its compliance and add the item to the CRIS so it appears in your web profile. Paying article charges (APCs): Check with the Library if support is available, as we have agreements with certain publishers to offset APCs, and a limited fund to cover APCs where there is an industrial partner. APCs are also eligible costs during the lifetime of Horizon 2020 projects. Getting the right licence: Make sure the article licence is CC-BY if you’re paying for gold OA. If you’re using green OA then CC-BY-NC is also acceptable. This is crucial for REF eligibility. Find out more on the intranet: Research, Learning & Teaching > Making your research Open Access > Simplifying paper compliance, or watch our two minute summary video. For more help, talk to your Information Specialist. 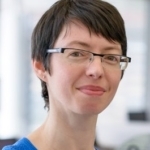 You can also contact Georgina Parsons on researchdata@cranfield.ac.uk for further guidance or to get started on CORD.